My daughter got to perform with her dance team in a charity event called the Festival of Trees so we went to support her and the event as a family. I'd never been to the festival before and I was completely blown away. An entire expo center is filled with donated and uniquely decorated Christmas trees. Each tree has a story, some of them are in memory of a family member that passed away, some are themed with princesses, Marvel characters, the Grinch, you name it! Each tree was so fantastic and beautiful. I was so surprised at how much time and effort had to go into decorating something like that. In the video, you can see a Santa figure climbing the ladder! There were so many little details like that, showing off the creativity of those who put it all together. The trees are then auctioned off and the money is donated to the children at Primary Children's Hospital. It's such a worthy cause and we had so much fun walking around and looking at all the incredible trees. They also had Santa available for pictures, sweet shops, and gingerbread masterpieces to look at as well. I know I'll be going back next year! Do you have charity events like that where you live? Taylor Hart's New Christmas Romance Only .99 Cents Today! How much would you bet on true love this Christmas season? After the worst year of his life, Cameron Cruz, owner of the Denver Storm, agrees to a family Christmas cruise with his twin sister and her family. Sure, maybe part of the reason he agreed to go was because it got him out of court mandated therapy for a week. Still, he was trying to focus on relaxing. He was trying to focus on having fun. He was trying not to look at the reports that came everyday from the private investigator's he'd been hiring and firing for the past year to bring justice to the man who killed his wife. Isabel Kind was only on this Christmas cruise for one reason--to heal. After tragically losing her husband and son five years ago, she'd been stuck. And she and her therapist thought doing the list of excursions they'd planned to do as a family--might help her move on. When she sprains her ankle and Cameron Cruz offers to help her, she finds herself accepting. After reluctantly getting piggy backed around by the amazingly strong and handsome man, swimming with the sting rays, and zip lining through the Honduran jungles, she is more and more mystified by this troubled man. Even more mystified that he's not only helping her physically but he's also trying to help her emotionally--even if, as he says, he can't heal himself. When bad news comes to light and Cameron has to face the past, they are left with a choice--walk away or let the power of grace make them whole. As a mother of eight children, I am rarely alone, but when I am, it really is a giddy feeling! Haha! Can anyone else relate? Cyber Monday Deals for Romantic Suspense and Regency Fans! Two newly released books (they just barely came out!) that I really enjoyed and could hardly put down are on sale today only for $1.99! The Gem Thief is full of intrigue and romance and is set in exotic locations that will make you feel like you're right there with the characters! I loved this one! The Truth About Miss Ashbourne is such a sweet story of rags to riches with a swoon-worthy hero and a heroine that will have you rooting for her to get her happily ever after. It was so good! Governess Juliana Ashbourne has dreams reaching far beyond the confines of her current position, hoping to someday establish her own school for girls. When she inherits a fortune from her late grandfather, she is shocked to learn that "someday" may soon be within reach. However, there is one condition: she must spend a month at the estate of Havenfield--with the very family who disowned her mother. Intent on securing the money she needs to start her school, Juliana accepts the invitation, vowing to guard her heart against those who shunned her all her life. But Havenfield is far from what she expects. She discovers a grandmother seeking forgiveness, a cold and disapproving aunt, and a painfully shy cousin. And then there is Mr. William Rowley. Though the heir to the estate is a merciless tease, Juliana finds in him a friend and confidant--and perhaps something more. As she struggles to make sense of her new place in the world, her stubborn independence clashes with a yearning to belong and the even more confusing desires of her heart. Taylor Dean has a new book out! You are in my heart, Jade, and you always will be. You’ve had a profound effect upon my life. Just the knowledge of your existence renews my faith in the human experience. There is joy in this world. And you are it. ME SIGNED ME. THAT’S it. Just Me. I have no idea who Me is. Wondering about The Author of my flowery, over-the-top letter consumes my thoughts. I can hardly think of anything else. As I sit at my desk—reading the letter when I should be tackling mounds of paperwork—I can’t help but sigh. The letter fills me with a warm sensation, a feeling as though my heart is about to explode. I’m addicted to reading it. Over and over again. Excerpt #2: I have no clue whatsoever as to The Author of the one and only love letter I’ve ever received. I’ve neglected my love life, giving all of my attention to Lockwood Cabins. Now I realize what a mistake that has been. When I read the letter, I’m filled with sensations I didn’t know existed. It’s as if I can physically feel the depth behind his words. I’m taken away to another world and I just want to float away, wrapped in his love. The Author’s words are flowery and eloquent, stirring and moving. They’re as lyrical and achingly sweet as a few strokes from a violin. Violin words. Yes. My letter is filled with violin words. All meant for me. And I love them. A few simple chords from a violin inspires soul soaring emotion within me and leaves me breathless. Somehow the sound speaks to me and I have to close my eyes and thank God that I’m alive, if only to hear such a precious sound. But when I read my love letter, my reaction is the same. Words alone have never had this effect on me. Plain and simple words—twenty-six letters all strung together in thousands of combinations—and together they form the most beautiful thoughts. I hold the letter to my chest and absorb the love. It’s the sweetest torture, the most exquisite agony. I welcome it. To feel is to live, I know that now. Wow. Just wow. Are those violin words really directed toward me? I always figured I’d meet someone and get married one day. But never in my wildest dreams did I imagine a man would speak to me like that. 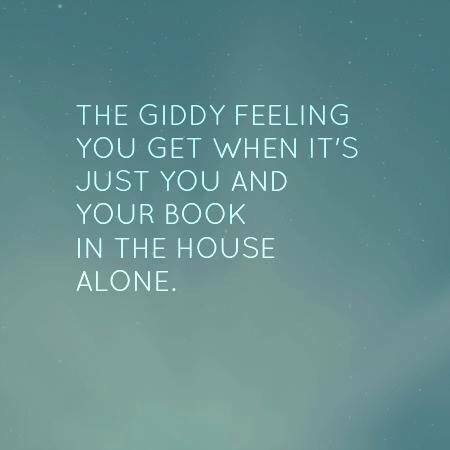 It sends a thrill through my body. Every time. I hope you are having a wonderful Thanksgiving with lots of great food and surrounded by the love of family and friends. I am so grateful for so many things, and one of those things is you, my readers! What a wonderful year we've had together! Sister Beck prompts us to reflect on our identity and purpose, both as members of earthly families and the house of Israel. Her insights are simultaneously challenging and encouraging, profound and practical, authoritative and friendly. The messages found in Joy in the Covenant speak to all of the joy that can be found in living the gospel of Jesus Christ and in being part of God's covenant family. 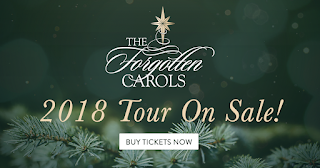 Have You Seen the Forgotten Carols? Tickets On Sale Now! The Forgotten Carols is coming back! 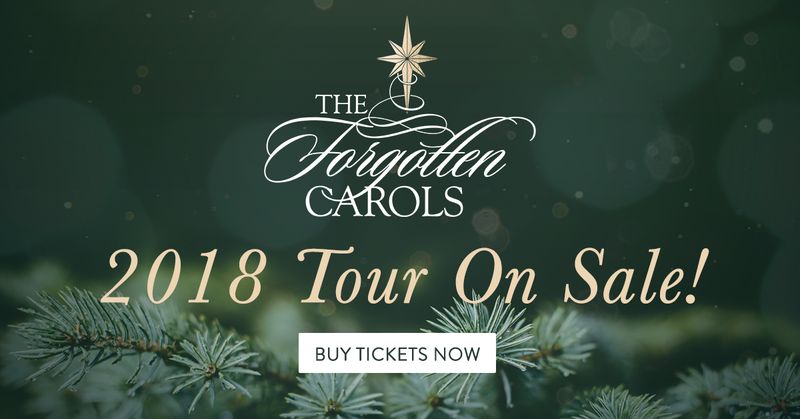 If you love a great show with a fantastic message for the Christmas season, you have to see The Forgotten Carols. The music and spirit of this show are something not to be missed. 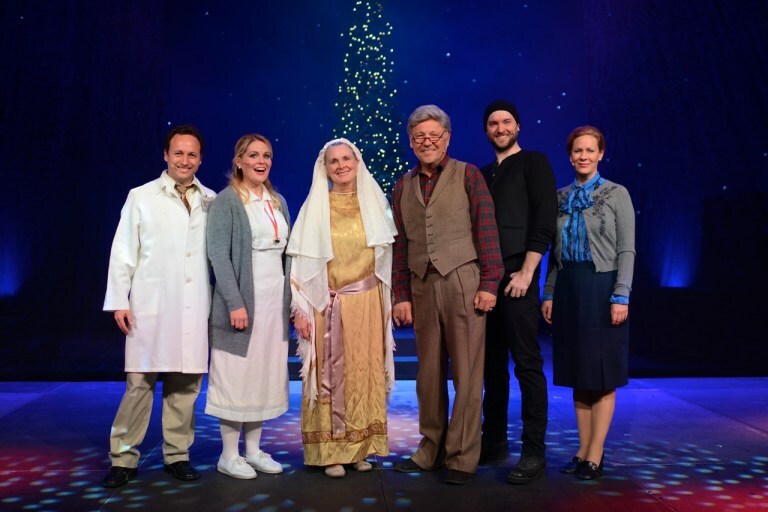 If you've never been, it tells the story of Connie Lou, a nurse whose empty life is changed when Uncle John, a new patient she is attending, recounts the story of Christ’s birth as told by little known characters in the nativity story. 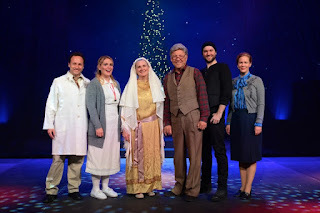 The accounts from the Innkeeper, the Shepherd and others help the nurse discover what the world has forgotten about Christmas, ultimately encouraging her to open her heart to the joy of this special season. Here's a little video teaser, if you need that little push. :) I know it will be your new Christmas tradition, like it is for our family because it has that little bit of Christmas magic that is unforgettable. In the Non-Fiction Corner with Lauren! When most people think of Susan Easton Black, they usually think Church History scholar. But here she is, writing a book about Mary the mother of the Savior! I first received the book and looked at how many pages it was. 84? How can it possibly be 84 pages? I was pretty sure I already knew everything there was to know about Mary, we have heard the stories a million times. However, I was mistaken. Black not only tells the stories that we all know, but she puts them in the context of Jewish tradition. She really did her research with the history, so she can tell us things like what Joseph and Mary’s wedding was probably like, what happened when she visited Elisabeth, and why the inns in Bethlehem were actually full. It was interesting to learn in this way---it brings the story to life as you consider the circumstances and emotions that Mary and her family were facing. Susan Easton Black also puts everything on a precise timeline. This proves to be extremely educational as well, because while we all know the stories of the Savior’s early life, Black connects them chronologically and relates them to each other. She did it this in one of her chapters about Jesus’ early life. She tells about his life in Egypt, when he was brought back to Nazareth, what his life was probably like, and takes us to where he is teaching the scholars at the temple. Black writes in a very educational and profound manner, and I think her serious style is perfect for the content of this book. Mary, who is so loved and revered by Christian faiths, needs to be talked about in our faith as well and this book did a really great job of making her real to me. Throughout the world, millions of devout followers of Christ look to the Virgin Mary as a sacred figure, a woman to be revered and worshipped. While Latter-day Saints do not worship this chosen vessel of the Lord, we do esteem Mary as one of the most influential women in history. Her faithfulness changed the course of history, but even so, much detail of her life remains unknown to most. In Glorious Truths about Mary, Mother of Jesus, readers are invited to join distinguished LDS scholar Susan Easton Black on a journey of discovery spanning the life and legacy of this unparalleled historical giant. Discover, through scriptural and historical sources, the compelling look at how Mary, mother of Jesus, has been characterized over the centuries and the true story and lasting influence she has had, this woman whose incomparable example continues to guide and inspire faithful women today. Can you believe it's nearly Thanksgiving? Where has this year gone? Thankfully, we have a new Hawaii Five-0 ep to watch! The show starts out sort of dark with a man falling down some stairs and a very large safe falling on him and smushing him. Ew. Then we cut to Grover in the shower singing, until his brother dumps a bucket of ice on him and his screams wake the family. His mother (played by Gladys Knight. Love her!) comes in to give her boys an earful. Louis Gossett Jr. also pokes his head in the bathroom and he's playing Lou's dad. So fun to see them! Shifting over to the annual Thanksgiving football game, it's McG's team vs. Tani's team this year. There's some good-natured trash talking and we find out that Noelani is dating a coach. (So cute!) Tani is pretty intense and her brother tells Junior that she was only this competitive until she was eight and then no one would play with her. (A little sad, but maybe understandable. She was really competitive!) On the last drive, Tani passes to Junior, but he was out of bounds when he caught it so it doesn't count and the game ends up being a tie. Adam is looking through the safe and noticing that there's a ton of valuables still left in it. Tani adds that she found a bag of jewelry and a laptop upstairs. So if the SmushedThief didn't want that, he must have been after something specific. But then Tani adds another angle and says she thinks there were two thieves since she found another point of entry. Grover is chopping veggies and cooking when Renee comes in. He sings to her, they dance and kiss, she talks about how happy he looks while cooking. (It was sweet and very believable.) Grover tells Renee about the bet with Percy and Renee is upset and disappointed. She doesn't want anything to do with that. Jerry and Adam come back to the Chatting Table with the stolen card and say the collector bought it for ten grand, but all he could give them was a basic physical description of the seller. Tunior found footage of a guy buying drill bits and drills the morning of the robbery so he's obviously the guilty party. Since the homeowner is landing soon, Tunior is going to go show him the footage and see if he recognizes the guy. Renee, Will, Louis, and Gladys are all on the porch looking at old pictures of Lou and Percy. They comment on how big Lou was and they mention that the kids at school started calling him chubster (and his brother continued it! Oy.) The bullies would chase him and he would be yelling for Percy because he knew his brother would stick up for him. Grover is listening in on the convo when he smells smoke. His turkey is burned. Grover is mad and throws his towel on the stove before he goes after Percy who is cooking outside. He shoves Percy and accuses him of turning the heat up on his bird, which he denies. Lou forges ahead and says Percy is a liar who has been two steps away from jail since he could crawl. Lou throws a punch and the fight is on. The family comes to witness this spectacle with disappointment on everyone's face. Grover then notices smoke billowing from the house and says to call the fire department. The kitchen fire is put out, started by a greasy towel on the stovetop, but thankfully was contained to the kitchen. Louis admits that he had a few too many cocktails and thought the turkey would cook faster if he turned the heat up. So it wasn't Percy after all. Lou goes to apologize to Percy for the way he's been treating him and the horrible things he said. Percy apologizes as well and mentions that he's kept a scrapbook of all of Grover's achievements and wanted to tell him, but he couldn't get it out. (It bothers me that most of Percy's insults were about Grover's physical appearance, though. It was not normal at all.) They both cry and hug and Grover admits that Percy is the reason he became a cop so he could protect people who couldn't protect themselves. (Except that Percy became the bully he'd once saved Lou from, but okay.) They're saying I love yous and hugging while the family looks on. Unfortunately, now they don't have a turkey, but Lou takes them to the restaurant where the rest of the crew has gathered. Tani tells Junior that her goal is to keep pace with him, but he's ducking out early to go to his family dinner to start learning how to be in the same room as his dad. They drink to dysfunctional family and holidays that force us to spend time with them. Adam is looking sadly at a pic of him and Kono and Jerry comes over to ask how's he's holding up on his first Thanksgiving without Kono. He says it's hard, but he's thankful for what he has. Steve signs over the restaurant to Kamekona (Danny signed it before he left for Jersey) and says that they almost broke even, to which Kame says in this business we call that success. (I'm just glad the Steve owning a restaurant storyline is OVAH!) Grover talks to Kamekona about a job for Percy as a baker. He pulls a pastry sample in a baggie from his pants pocket, (ew) which Kamekona tastes and hires Percy on the spot. Percy and Grover hug again with another I love you, then we pan to show everyone happy and eating with a Happy Thanksgiving wish from Steve. So, we don't find out anything else about the man who was smushed by the safe. Lou and Percy look terrible for most of the show (and I normally like Lou's character, but this was over the top.) A man is given sympathy after stealing and showing no mercy to another human, all because he used his ill-gotten gains to feed the homeless. But, on the good side, we got Steve out of the restaurant business, we saw Gladys and Louis, and got a nice Thanksgiving wish from Steve. If you are looking for a western romance with a Christmas theme, Christmas in Three Rivers is free! Isn't Christmas the best time to fall in love? The cowboys of Three Rivers Ranch think so. Join four of them as they journey toward their path to happily ever after! I have watched this show from the very beginning and am so thrilled it made the milestone of 200 episodes! Not many shows do these days and it is quite an accomplishment. The episode starts out with an old school car chase on Dec. 6th 1941. Two men who look suspiciously like Danny and Steve (only Danny is being called Milton), dressed in 40s clothing are in a police car chasing some bad guys, bickering over Milton/Danny's shooting, and displaying some awesome driving skills---until the bad guys come out with a Tommy gun. Cut to the music, but this time it's done instrumentally with a little 40s type jazzy beat. Loved it! We come back to present day where the Restaurant of Ridiculousness is finally opening. There is lots of law enforcement there with full plates (that they aren't paying for since it's a soft opening) to introduce people to the restaurant. Danny is worried about money and Steve, as always, is trying to reassure him. Duke brings in a retired HPD detective named Milton Cooper to meet Steve. Milton has a backstory of being best friends with Steve's grandpa and they had aspirations of being detectives together, but all that changed on Dec. 7th. Milton and GrandpaMcG were attempting some armchair detective-ing on the weekends back in the day to crack the last unsolved case of Chang Opana, the legendary HPD detective. (Wait, I thought GrandpaMcG was a military guy and died on the Arizona during the Pearl Harbor attack? Also, if Milton and GrandpaMcG were buddies as young men in 1941 wouldn't Milton be close to 100 years old now? He's looking pretty good for being close to a century in age.) Anyway, Milton brings out GrandpaMcG's briefcase that he dug out of storage so maybe Steve can help solve the case that they couldn't all those years ago. Steve takes the briefcase home and opens it up.There are a few sentimental items in it like a pen with SM initials on it and a pic of GrandpaMcG with Chang. Danny comes in, grousing about how he has a headache and the restaurant has emptied his pockets. Steve reassures him again and says they made fans tonight. (Oy. Let the restaurant die already!) Danny asks what he's working on and Steve fills him in on the legendary HPD detective Chang Opana and how he apprehended all his suspects. He was the inspiration for Charlie Chan and he did all of it without a gun, using a bullwhip instead. (Cool details.) The case in front of Steve is Chang's last unsolved case of a girl who went missing in April 1932 and Chang worked the case until he was forced to retire. Danny is not interested in the least and leaves. Duke comes to take their statement, but they don't have a description since it was dark. Steve calls over a detective named Flanagan (Jerry) and asks him to get info on the Fleetmaster car that the suspects were driving. Cut to the beach where Lila's brother (Junior) is trying to teach a woman to surf, but she's more interested in flirting with him. McG and Milton catch up and he says he told them all he has to say about Lila's disappearance. When they ask him about the photo and the necklace, however, he says he thinks he knows who could have given it to her. A Honolulu police car pulls up to the Peteffer estate. Milton and McG argue about whether to go in or not since it didn't go well last time. McG thinks maybe they were too polite so when the security guard approaches and doesn't want to let them in, Steve smashes his face against the car and they punch their way in. Mr. Peteffer doesn't look all that surprised and is standing on his veranda. He does ask them to leave, but gets all sad-looking when they show him Lila's picture. He loved her like a daughter, he says, since she was a rare beauty, too delicate for cane fields. He had her working in the house and though he doesn't know anything about the necklace, she did offer him money to pay off a debt her dad owed right before she went missing. Mr. Peteffer answers his phone and it's for Steve, haha. Jerry's street snitches have eyes on the Fleetmaster so McMilton heads out, talking about how if Lila was desperate to pay off Mr Peteffer who knows what she got mixed up in. They find the Fleetmaster and the two men who were shooting at them earlier. They get in and drive away so Steve gives chase and it's the opening sequence chase again. Milton manages to shoot one of the bad guys and they crash. The car bursts into flame, but Steve still runs toward it. Both men are dead and Milton is yelling that the car is going to blow. Steve is trying to reach for a wallet when his arm catches on fire. They run for cover just as the car blows up. Steve is sad that his best hope to ID those guys went up in smoke. Steve is getting treated for his arm burn by Noelani who Milton mistakes for a nurse and she corrects him that she is a doctor. Milton doesn't want to look at the burn because he'll get sick, so he's watching an athlete get treated and notices the letterman jacket on the athlete's girlfriend. He pulls out a pic from Lila's case of her with some other girls and there's a letterman jacket in it. Flanagan helps them figure out that the letterman's sweater in Lila's picture is from Franklin High school and one of the girls in the photograph is Alexa Alani, a singer. They go to Clarence's compound armed with guns and hop the fence, take out a guard and open the gate. Walking up the driveway, they take out all the guards and shoot their way in. These are terrible guards who should have been fired for their incompetence since Steve and his crew easily overpower them all, including shooting through a wall to kill the guy walking down the creaky stairs. They have one last guy who is dumb enough to come down the main stairs, so they all shoot him. (A teensy bit violent, but okay.) They find Clarence and sit him down. He's not talking, so Steve plays Russian roulette with his gun and Clarence's knee. Clarence protests that they're cops, but they tell him they don't have badges. (The look on his face is hilarious.) Clarence listens while they tell him what they think they know, that James was in relationship with Lila, driving the Phantom II, when they were both killed inside the vehicle. James got word and told his goons to tidy it up and make it look like James was by himself. They finally give him a chance to talk, but before he can say anything sirens blare and when they look out window they see Japanese planes flying to Pearl Harbor. Uh oh. that can't be good. Back to present day and Steve wakes up. He gathers all the papers and goes to the office. Danny is doing research on Chang and Steve says he thinks he's solved the case and knows what happened to Lila. The key is finding the car. She was last seen in the Phantom and the car is very distinctive. If Clarence wanted to avoid the tragedy turning to scandal, he would need to tow the bullet-riddled car somewhere and get rid of it. Well, there's a record from that night of Whitmour having his towing company take a car from downtown Honolulu to the Whitmour estate. (I guess the HPD missed that important detail and so did Chang?) Oddly, Whitmour submitted plans for a swimming pool on the estate and hired a company to start work, but satellite pics show there is no pool. Dun, dun, dun. They go to the compound and dig up the car. Lila's remains are still inside. Steve solved a 90 year old cold case in his sleep! He modestly says he just got it over the finish line. Steve goes to a Chang Apana exhibit-type room and he places Lila's picture next to Chang's picture before meeting Milton at a funeral for Lila. Back at the restaurant Steve says the case got him thinking about what he really wants to do with his time. His grandfather would have given anything to be a cop and gave his life for country. (I'm still confused about that a little.) Steve has a badge and a great job, so what is he doing running a restaurant. (Which is what so many people have been asking for the last two years!) He apologizes to Danny, but says he loves his job and isn't going to walk away from that. Danny says if Steve is out, he's out too. He'd rather die from a bullet than the stress of running the restaurant. Luckily, Kamekona wants to buy them out of their shares.They have a celebratory drink to knowing when to quit. I loved all the costumes and the feel of the old-fashioned case. The details were really well done from phones to cars to the toothpick in Steve's mouth. There were a few parts of the dream that didn't add up, but it was a dream after all and didn't take away from the overall feel for me. It was a fun 200th episode for sure! As a big historical romance fan, I was excited to try Joanna Barker's new regency, The Truth About Miss Ashbourne. The book opens with governess Juliana Ashbourne being called to task by the lady of the house. Juliana loves the children she teaches, but the gentleman and lady of the house are difficult to deal with to say the least. But as Juliana comes to find out that she is an heiress and her dream of opening a school might become a reality, she has some decisions to make. If she accepts the inheritance, she must spend a month with family she's never met. And then, to make things even more complicated, she has a misunderstanding with Mr. William Rowley, a man who makes her heart pound. Can Juliana accept the love of a family? And maybe even a future with William? I really enjoyed this author's writing style. I think she captures the time period and her characters were really well-done. Juliana has a believable growth arc and readers will definitely be cheering for her to get her happily-ever-after, both with her family and with William. And let's talk about William for a minute. He is such a sigh-worthy hero and I would have loved to have had chapters from his point of view. Their banter and blossoming friendship was so sweet and there were definitely some laugh out loud moments as they navigated their relationship. The romance is slow and tender and will take readers on a bumpy, twisty road to love that will make you laugh, cry, and wish the book never ended.